Employee absence is expensive. It’s an area that’s not often tracked; and even when it is, it doesn’t easily reveal its full costs or impact on business performance. Temporary workers and overtime charges raise costs – even as much as double the amount of wages. And heavier workloads for workers on the job can disrupt daily routines and increase employee stress. Making matters worse is the fact that so many companies lack the visibility they need to assess the impact of absenteeism on costs and organizational performance. For many manufacturing businesses, the responsibility for managing employee absences is shared by many people who maintain their time and attendance information manually in multiple databases and paper files. It can seem virtually impossible to get a real-time look at trends related to absenteeism with all this data at-hand. But without the visibility, you can’t easily determine the size of the problem, its cost, or potential ways to solve it. 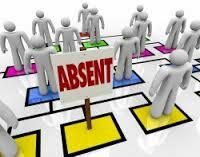 Effective absence management begins with the collection and analysis of time and attendance data, which often resides in automated workforce systems. In this case and for many of Silvon’s customers, the workforce system data is moved into a single data repository that can be used for analysis and reporting by stakeholders across the organization. Other companies either additionally (or in lieu of automated workforce systems) leverage their time and attendance data from spreadsheets, transaction systems and other sources. Either way, the insight provided by absenteeism analytics and reports can reveal trends and patterns that may have once seemed impossible to attain. You might discover certain days of the week and times of the year where levels of employee absence are elevated. This type of information can enable you to develop a policy that addresses this issue or to put incentives in place to improve employee morale while maintaining an optimized workforce. Uncovering trends may also reveal workload imbalances that contribute to excessive turnover or increased absenteeism. For example, changes in the pattern of product demand for a manufacturing business may contribute to serious employee fatigue problems if overtime is required. This impact could be significant, so having insight into schedules and absence patterns can enable businesses to take a more proactive approach to managing fatigue and minimizing absenteeism. Understanding absence occurrences also enables businesses to optimize schedules and ensure the right people with the rights skills are placed accordingly. Once an organization has visibility into its workforce movement and metrics, managers can rapidly identify and work to resolve issues while improving operational efficiency and productivity in meeting its operational and customer service goals. At the bottom line, the most important reason for gaining visibility to absences is to understand their effect on productivity, service to your customers, HR costs and employee engagement. These impacts will vary by industry and job function. The means to address them will also differ. However, the insight you can glean from time and attendance analysis and reporting can give you a better understanding of issues and serve as a guide to helping you manage your workforce more effectively.